With the nation examining electricity rates, the ultimate focus is pricing. 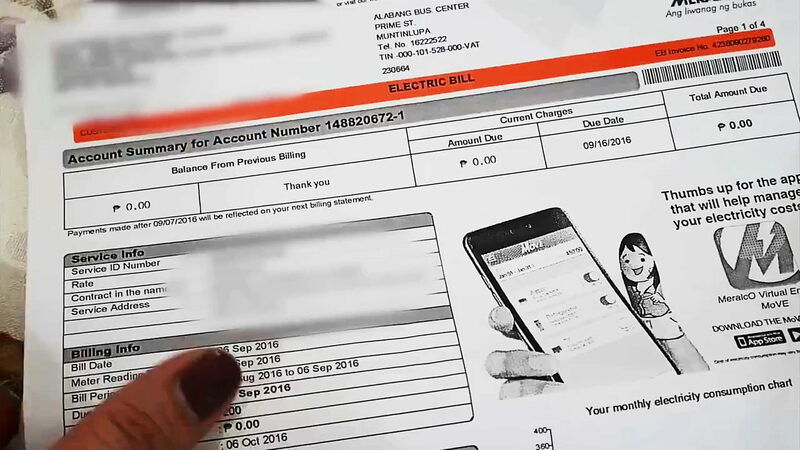 What should you do when your Meralco bill is too high? Would installing solar panels in the Philippines be the cheaper option? There are a few areas that affect electric bill rates, which include revenues, costs, charges, fees, etc. It is the end consumer that covers three critical costs which are distribution, transmission, and power generation. What the consumer pays is reflected in the electricity price index. According to a survey conducted by the Philippine Statistical Authority (PSA), at least 4.8% of household expenses go to electricity. In another light, as revenues increase, costs likewise increase. This goes for utilities, including electricity, water, gas, fuel. On top of all that, there is a thing called Electricity Price Index (EPI). Globally, there is Return on Rate Base (RORB), which is a regular pricing method used by utility companies. This means the utility firm is allowed to set a price that makes specific profit possible under RORB. In the Philippines, the RORB is approximately 12%, which means that the electric company is allowed to make up to 12% in profit. It is the maximum allowable limit. In analyzing case studies, we have to theorize that a utility company should make at least 10% after taxes. That translates to generating revenues of at least 15% or more before taxes. Should we incorporate interest on capital, expenses, suppliers, costs, and other expenditures, gross margin must be set at more than 20% in order to meet the profit targets. In the business of electricity in the Philippines, in reality, and in summary, the years 2006-2012 were not very good years for the business, especially since the power generation companies only receive less than half of what end consumers pay. It makes no sense to sustain the business over long-term. What exactly is the grand master plan? Consumers are clamoring for lower electricity bills, especially as inflation continues to surge and as other market rates increase. What is the grand masterplan, or contingency plan, for the end consumer? There are two choices: either watch prices rise in the coming years or, find a sensible and feasible alternative for power. The answer is simple: the solution is solar. Our typical homeowner lives in an average income subdivision and his Meralco bill amounts to Php10,000 each month. A look into his home reveals his daytime appliances to include: washing machine, dryer, electric stove, air conditioners, kitchen appliances, refrigerator, television sets, computer, and gadgets. With the power rates on their relentless climb to the sky, the homeowner is exploring an alternative solution. He wants a lower monthly bill. He has to provide enough funds to sustain his small family, pay for the education of his two children, food, water, supplies, toiletries, and everything else that comes alongside running a household. The ideal solution is to install a large solar power system (such as 8 kWp Solar Power System) and then register with Meralco’s Net Metering Program with Peak/Off-Peak (POP). It is the simple and ideal solution. In this setup with a large solar power system, a house will have enough rooftop solar to generate enough power. That way, the power received from the utility company is offset by the exported surplus power generated by the installation of solar panels in the Philippines. This basic model reduces the Meralco bill to Zero. In other words, the surplus electricity from your solar system will be exported to the grid. This will offset the cost of grid supply charges. The goal is simple: every homeowner wants free electricity. Here now is the opportunity to consume AND produce power at the same time. Anyone can be a consumer AND producer of power — not just the homeowners. Even businesses, factories, warehouses, plants, establishments, buildings, farms, and more. Everyone wants to be paid for providing clean solar power to the grid. What happened to the homeowner who installed the 8kWp solar system? Months later, when the homeowner checks his electric bill, the monthly average is zero. Yes, the total amount payable is Php0.00. That homeowner now enjoys the luxury of guilt-free aircon. The investment on solar pays off almost instantly. There are two key selling points that are non-negotiable. First, you pay nothing each month to Meralco. Second, you help save the environment. Put plenty of solar panels on your roof and generate enough power. Then export this power to the utility company. In doing this, you do not have to pay a single centavo on your electric bills. Better yet, you get paid for the electricity that you will provide. The zero bill is a benefit of being a consumer and provider. There are various ways to set up solar so that you will never have to pay for power again. Click here for a free site inspection today. For more information, please visit www.solaric.com.ph or email us at info@solaric.com.ph call 5040092 or 09178603141. We will gladly explain to you how the system works, or schedule a survey, so we can give you options for your new home or existing homes or businesses.